To have true and lasting prosperity in every area of your life you must change the way you think. Dr. Reggie and I had a morning devotion almost every day. We would eat breakfast, share a cup of coffee or two, and have the most wonderful spiritual discussions and meditations. Pretty soon friends joined us on a conference call, and now we are on BlogTalkRadio. The format has remained the same. We find a book to study for spiritual inspiration and understanding, and really dig for the meaning and then put those principles into practice. We have studied various works from Charles Filmore's "Prosperity" to Russel Simmons "Super Rich" and Deepak Chopra's "The Way of the Wizard." Each book has been an amazing journey and expanded our awareness of the Divinity within. We want to include you in our morning devotions, and teach you the spiritual principles of true prosperity. 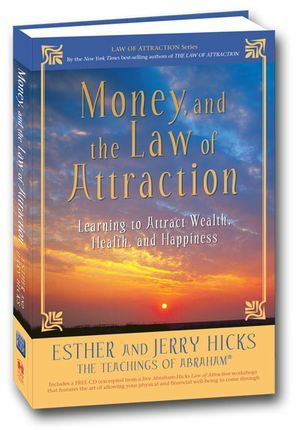 Understanding the truth of substance and the law of prosperity will bring true abundance (and peace of mind) in your life despite the economy, the job market or the stock market. Changing the way you think takes a little effort on your part, and you have to work at it. Make a four week commitment to participate in our morning devotions, and you will begin to see changes in your life. "Each and every component that makes up your life experience is drawn to you by the powerful Law of Attraction’s response to the thoughts you think and the story you tell about your life. Your money and financial assets; your body’s state of wellness, clarity, flexibility, size, and shape; your work environment, how you are treated, work satisfaction, and rewards—indeed, the very happiness of your life experience in general—is all happening because of the story that you tell. If you will let your dominant intention be to revise and improve the content of the story you tell every day of your life, it is our absolute promise to you that your life will become that everimproving story. 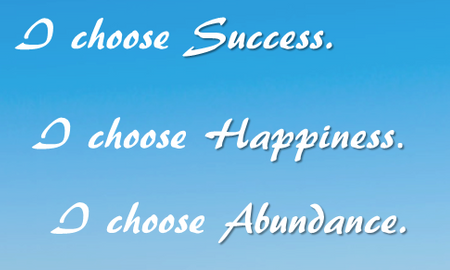 For by the powerful Law of Attraction, it must be!" Help Select Our Next Book! That's right! It's time to find our next book, and I need your help. As we grow in our awareness of the essence of our true being, selecting the right book has become more challenging. We need a book that not only inspires us, but also expands our consciousness and spiritual growth. And don't forget that we have new people joining us on the journey as well, and we need a book that will enlighten them -- not frighten them. So you see, this is not an easy task. Many of you provided me with suggestions, and I included them in the list of books below for your consideration. You can click on any book title for a description of the book as well as reviews. Browse through them and send me an email with your thoughts. I'd love to hear from you.